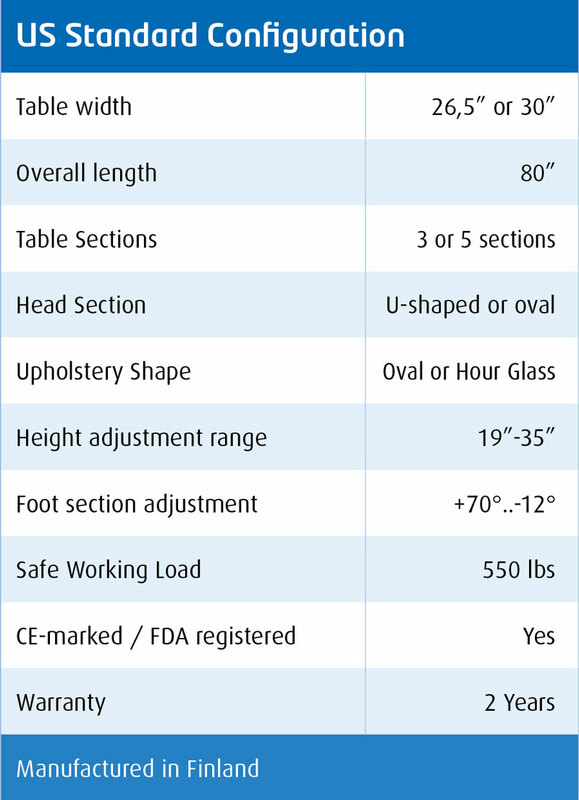 Over the years, the competitive nature of the US table market has driven down price and quality. 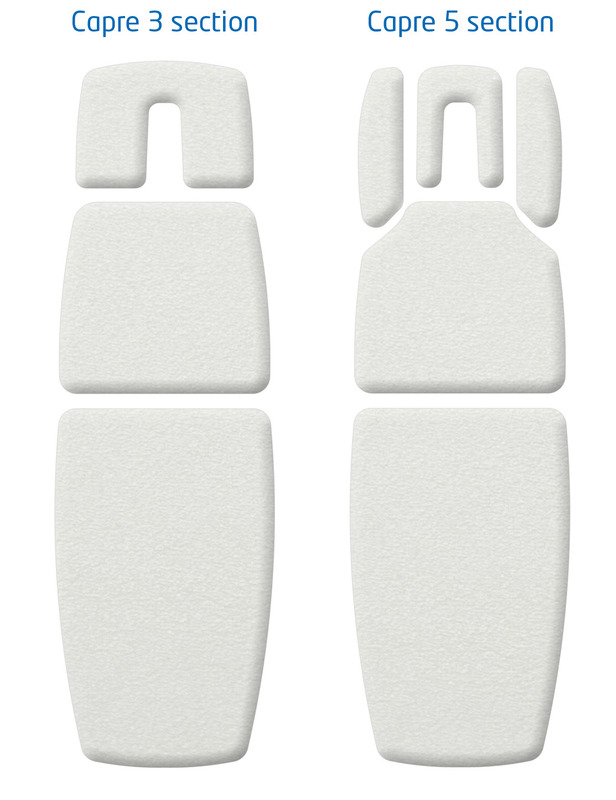 Lojer Capre tables from Finland re-introduce quality at an affordable price. 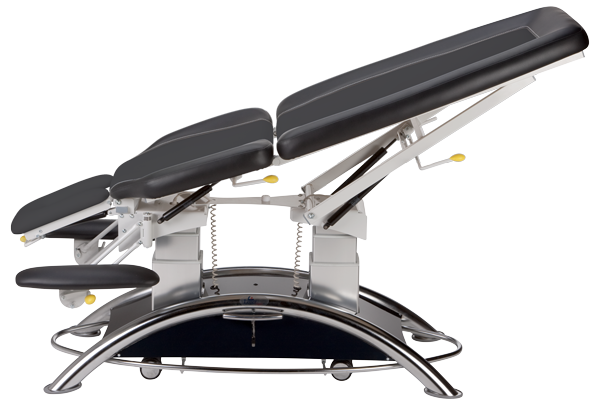 The Lojer Capre Treatment Table – an outstanding design with features that meet or exceed the needs of even the most demanding users. 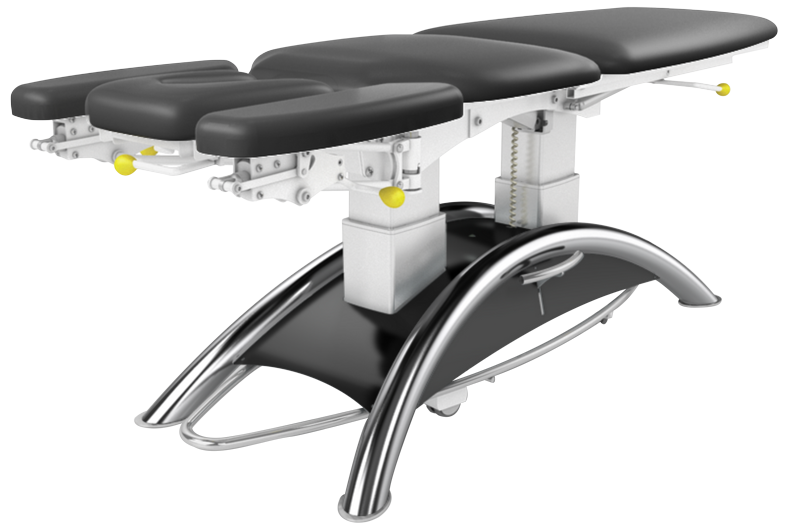 Two motorized pillars activated by a 360 degree foot bar adjusts the table level from 19 inches to 35 inches. 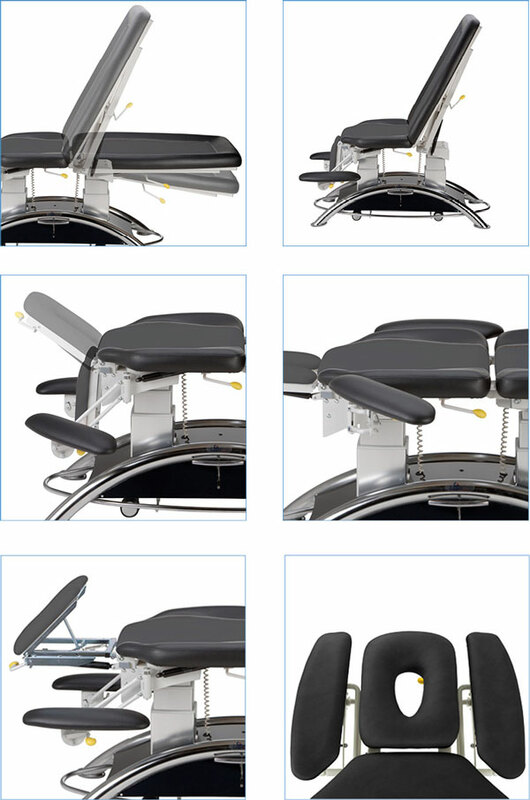 All Lojer Capre treatment tables have high-quality upholstery materials so they are durable and easy to keep clean. Video: Take a Closer Look!